Cook like Dr. Sheldon would! The Big Bang Theory Bazinga! Apron is just about the best apron ever. Colored black overall with Dr. Sheldon Cooper's famous "Bazinga!" 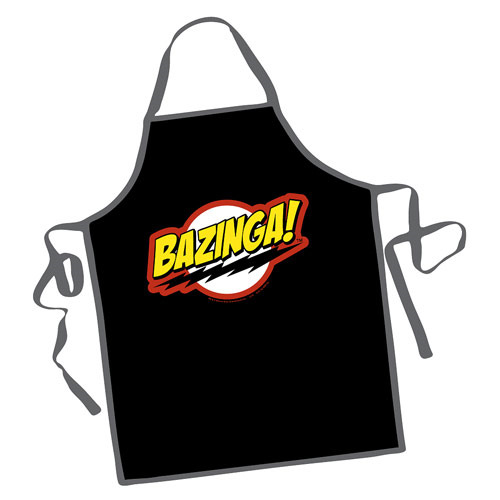 quip emblazoned across the front, fans of The Big Bang Theory will not want to spend time in the kitchen without this awesome apron!